The Farm is a busy place come Spring/Summer. Now me, I’m generally a slug due to my health issues. I get my exercise but the hubby – he is a man on the move! There is always something that needs doing around this place and the chores only increase as the season warms and the garden has to go in. 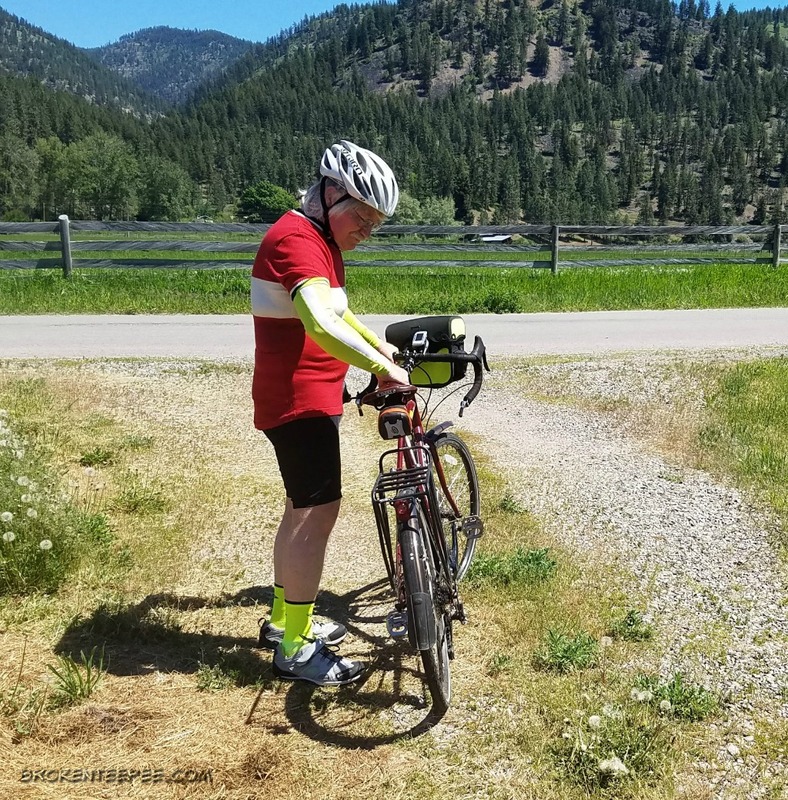 All of that work can really take its toll on his 66 year old body so it is important for him to know how to help aches and pains from gardening, biking and yard work. We grow all of our own food here on the Farm and while that is wonderful it is an awful lot of work. The hubby also has a world of yard work and clean up that never seems to end. Then there is his chosen exercise – bicycle riding; he used to run but his knees no longer allow that. 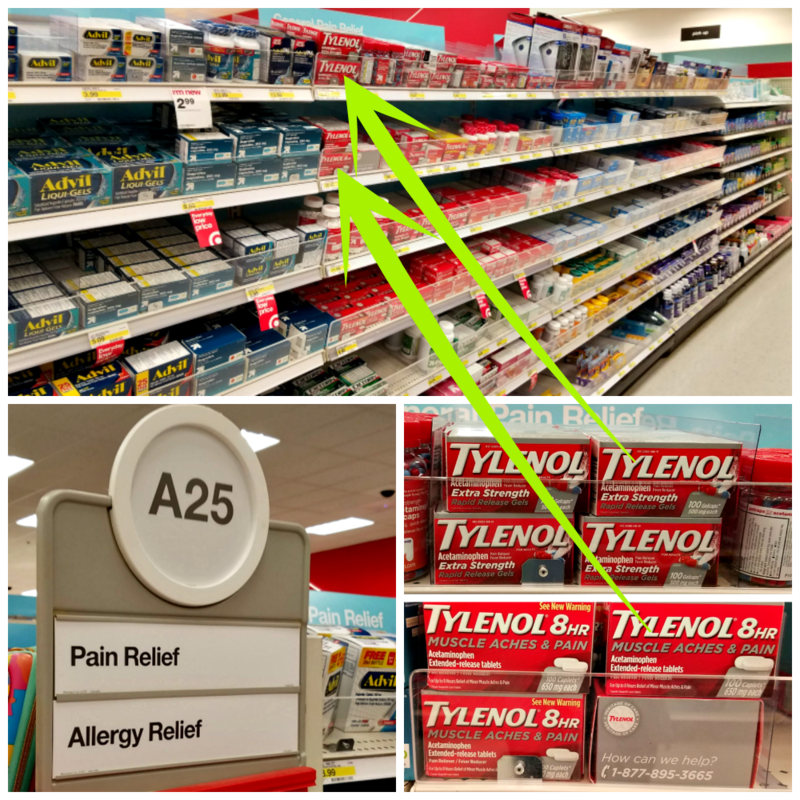 It’s good that the last time I was in Missoula I popped into the Target and picked up some TYLENOL® 8HR Muscle Aches & Pain and Extra Strength TYLENOL®. Since the hubby is well above 12 years old (ah-hem) he can turn to these products for relief of minor aches and pain should the need arise. And of course he uses them only as directed. Since we are retired every day is like a weekend for us. Most days start for the hubby with general work around the Farm. This involves taking care of the chickens and ducks. Then it’s on to whatever needs doing next. 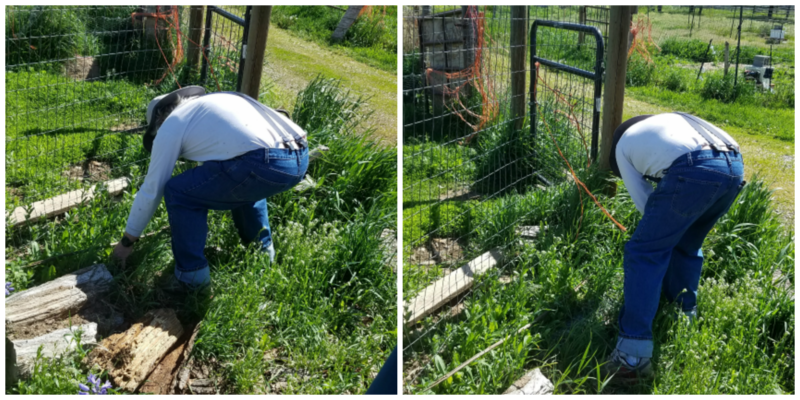 Fence repair is an endless task around here as the weeds grow up and through the wire. It’s not nearly as bad since we re-homed the goats but it’s still something that needs doing. We learned recently that the ducks were escaping under the fence every day to go roaming about the neighborhood! There is a lot of bending, lifting and twisting involved in this kind of work. You can imagine what that can do to one’s back. It’s good that TYLENOL® is there for relief of those aches and pains. As the season warms up the hubby trades his every other day, afternoon bike ride for a morning ride. Otherwise the heat is just too much. It can get to over 100° here in the summer so you can understand why he might want to avoid riding while the temperature rises to that level. Even in spring the temps can hit the high 80ies. When his knees started getting bad and he had to find something else for exercise so he turned to bicycling. It isn’t his favorite activity – that will always be running – but he does enjoy riding along the river in the cool of the day. As he stretches out the length of his rides and the duration he does put strain on his muscles now and then. Work on the garden actually starts in January when the first ordering of the seeds happens. Then the inside planting starts in February so that we have plants ready to go in the ground come spring. The planting area needs to be prepared which involves much tilling and weeding. 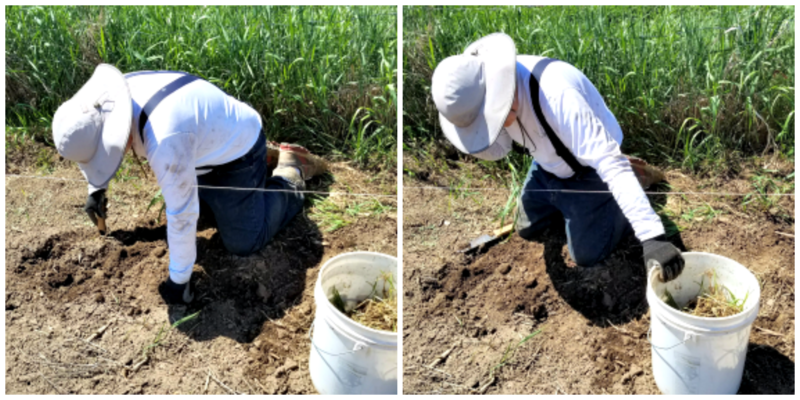 The actual planting is time consuming and full of bending and digging and lifting and carrying. Talk about strain! I always feel badly for him when he hurts but I also know how much he enjoys working in his garden. He loves nurturing his “babies” from seed to seedling to producing plant. I’m glad that there is relief from back strain with TYLENOL®. I am sure you are all wondering what I am doing while the hubby is working so hard. Well, I am taking good care of him! When he comes in on a hot day I make sure he has a cold glass of water. If he feels that he wants a soak in the tub I will run him a bath. 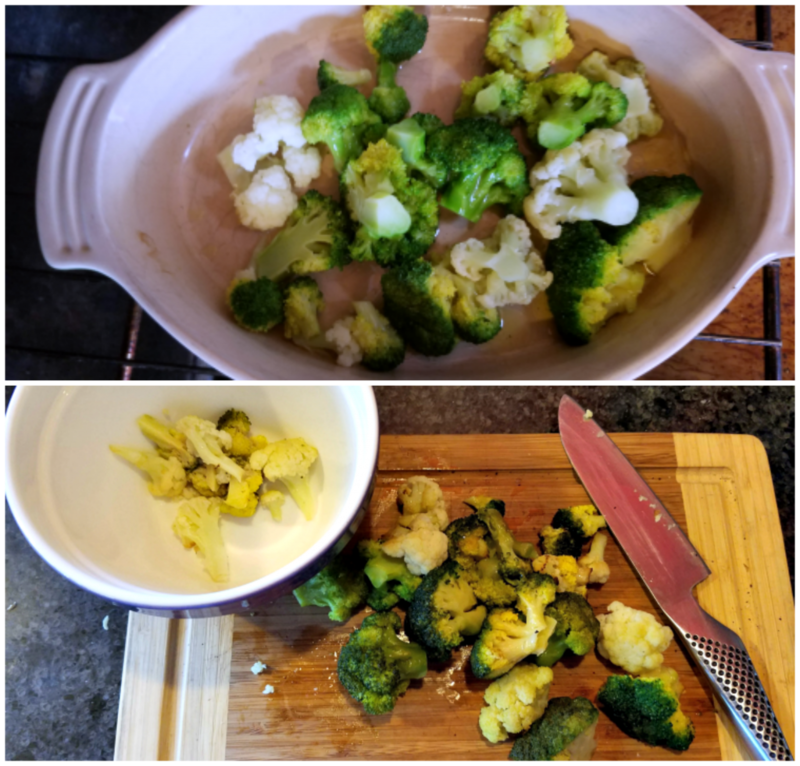 I also make sure he has a delicious and healthy dinner to eat at night; I like to use all of those vegetables he grows in recipes like the one below. Add the vegetables to a baking dish and drizzle with the tsp of olive oil and sprinkle with the 1/2 tsp of salt. Roast in the preheated oven for 20 minutes until the vegetables are soft and just starting to brown. Remove from the oven, let cool slightly and cut into bite sized pieces. Set aside. 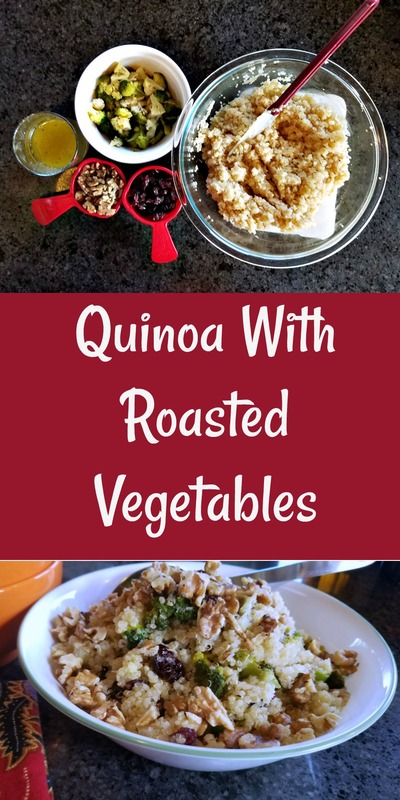 While the vegetables are roasting prepare the quinoa. Bring a pot of salted water to a boil – I use my two quart pot for this meal. Add the quinoa and let cook for 15 minutes. Drain the quinoa and add to a bowl. 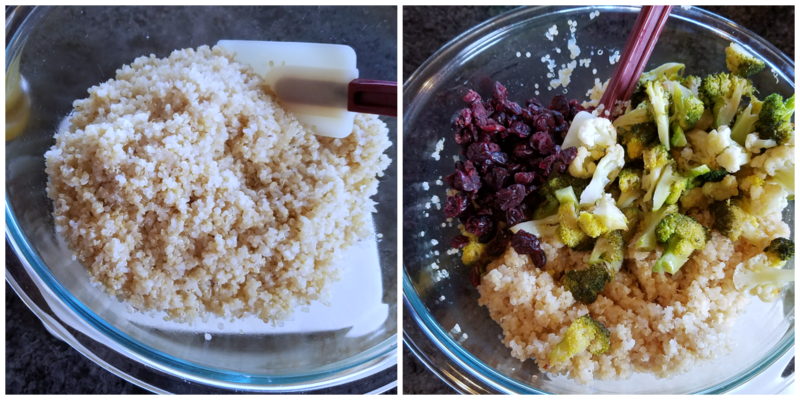 While the quinoa is cooking make the vinaigrette. Add the honey and 1 tsp salt to the lemon juice and mix well until the honey is dissolved. Add half of the vinaigrette to the warm quinoa and let sit until the vegetables are finished. 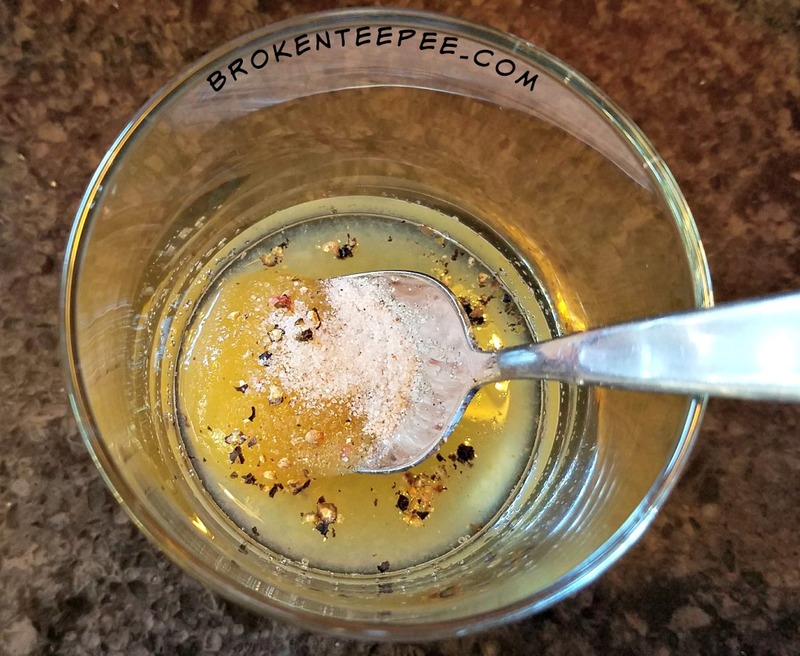 Followed by the rest of the vinaigrette. 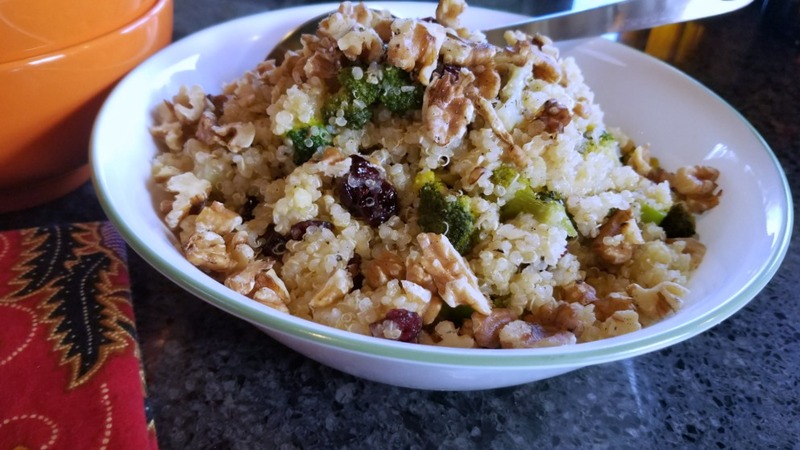 This is such a delicious, simple and versatile meal. I’ve made this over and over since my first try. 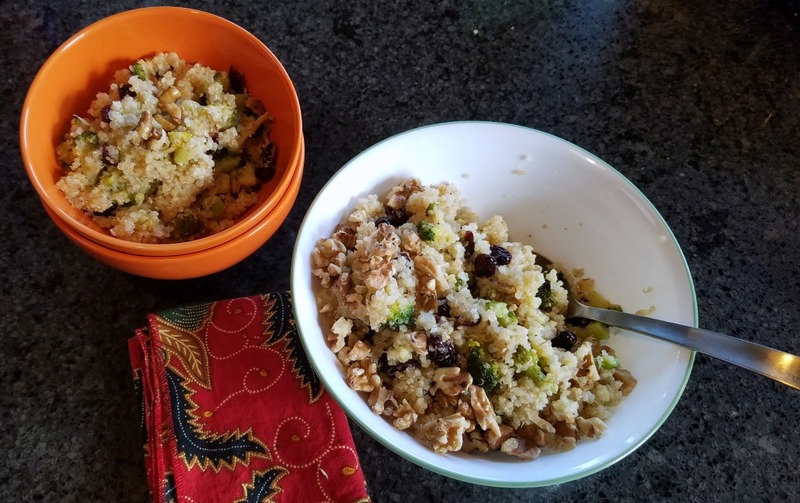 The quinoa is a wonderful vehicle for a vegetarian main dish. It’s gluten free for those that need to be concerned with wheat and it tastes good. I’ve seen alternative ways to cook it but this is how I do it and it works for me. You can use almost any vegetable in this recipe and a variety of dressings so it’s a real mix and match kind of meal. I’ve made it with slices of orange and green beans with almonds. Just play – have fun. 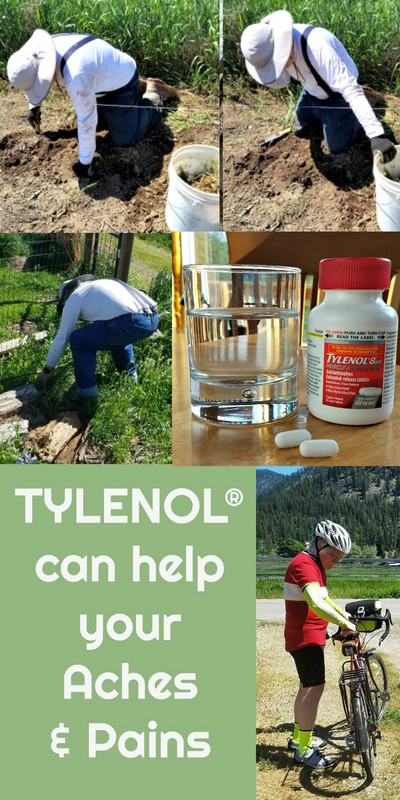 As you get out this spring and summer and spend your weekends working around the house and having fun know that you can look to TYLENOL® for relief from your aches and pains. Head to Target and pick some up for your medicine chest so you are ready to face all that comes your way. 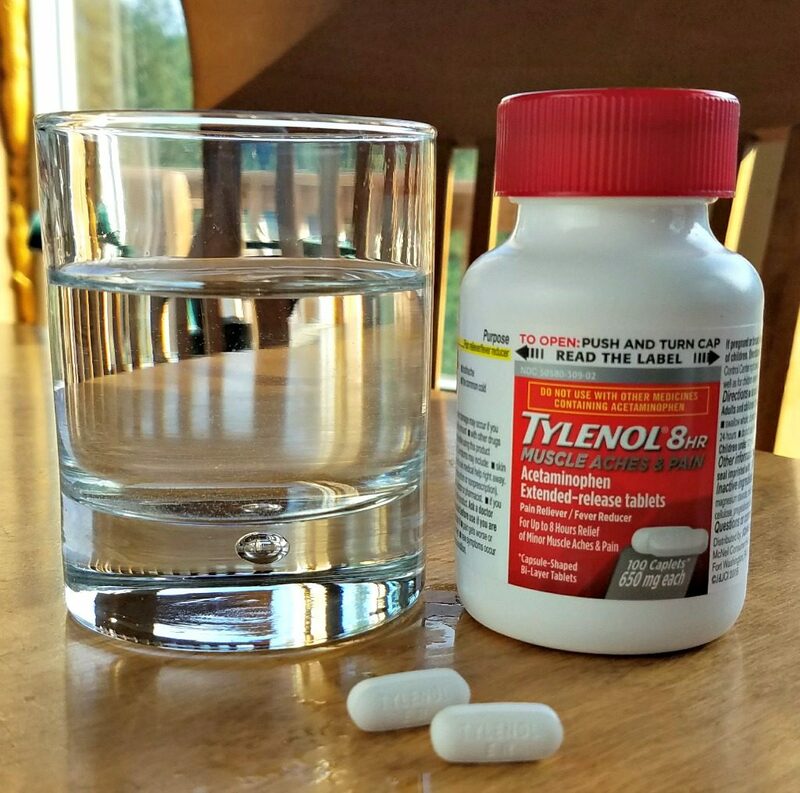 With both of these TYLENOL® products you will be able to take control of your muscle pain and get on with your day. What weekend activities might have you reaching for Extra Strength TYLENOL® or TYLENOL 8HR Muscle Aches and Pain? Add the rest of the vinaigrette.